It’s Spring again, yay! Spring definitely brings cheer to our hearts. I’m sure we all appreciate the grandeur of Winter, but Spring brings an uncontrollable smile that arises directly from our soul. 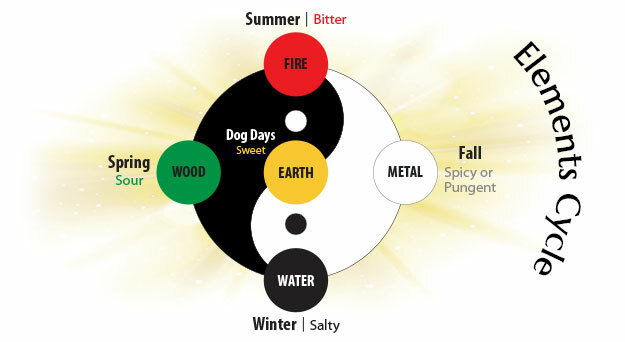 In Asian philosophy, there are five seasons. Four of which are fundamental and definitive, and one is just as fundamental but is a bit more transitory and ephemeral. The four cardinal seasons of course are Spring, Summer, Fall and Winter. The transitional “season” is different, and I’ll describe it in a moment. First, it’s time to celebrate Spring! Spring starts with the vernal equinox, which occurs this year on March 20th at 5:58 EDT in the evening. This is a special day on Earth. It is a day of balance, a date when day and night are of equal length. It is a universal law that everything in existence seeks balance. Everything of course moves in waves (cycles), and therefore, balance is something being sought after yet is not quite manifested most of the time. But on Spring Day, we can ponder and celebrate – and feel – this profound moment of balance in nature, a date of tremendous harmony and joy. This was a date that our ancestors revered for millennia – not just because it signaled the beginning of a planting season, but as much for the spiritual sense of universal balance. Earth and Life are one and the same in Gaia. We humans, like all animals, plants, fungi and even the inanimate world, easily sense this rising spring energy. This energy is the source of “Spring fever,” the often, uncontrollable urge to get out, roam, play outside, dance in the sunshine and gentle breeze, and to escape the shackles of Winter living. Remarkably, this year, we will experience a supermoon on Spring Evening. This supermoon will rise this year on the same date as the first day of spring (the vernal equinox), March 20, 2019 – not a common coincidence. The moon will become full shortly after the vernal equinox which is at 5:58 p.m. EDT. This full moon will be at its perigee – closest to earth. 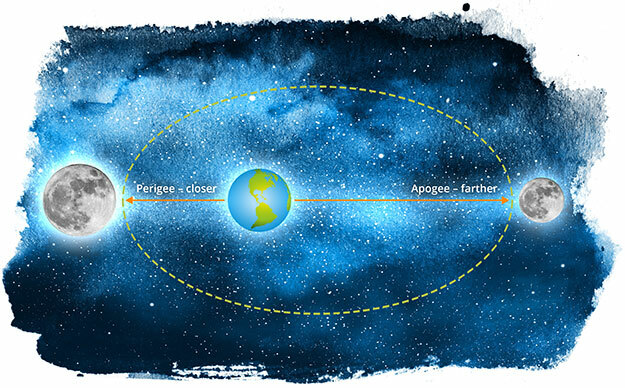 The perigee is the same thing as a “supermoon.” A supermoon appears slightly bigger and brighter than most other full moons because it’s closer to us. This month’s moon is called the “Worm Moon.” This is the time of year when the ground will begin to soften and earthworms will start to emerge from the soil, an obvious sign of fertility. In Asia the Dragon is a great, benevolent, divine creature. The Dragon is revered as the embodiment of strength and goodness. The Dragon symbolizes generosity, altruism, and charitableness. The Dragon is the protector of divine treasure. Hidden in the caverns of inaccessible mountains, or coiled in the depths of the sea, the Dragon awaits the time when it slowly rouses itself into activity. The Dragon unfolds itself in the storm clouds. It rinses its mane in whirlpools. Its claws are unleashed and revealed in the fork of the lightning. Its scales glisten in the bark of rain-swept pine trees. Indeed, the Asian Dragon is the symbol of renewal and regeneration. The Dragon is the benevolent spirit of change and wields the power of transformation. The Dragon is therefore the spirit of life itself. We thus take the sacred Asian Dragon as our emblem. 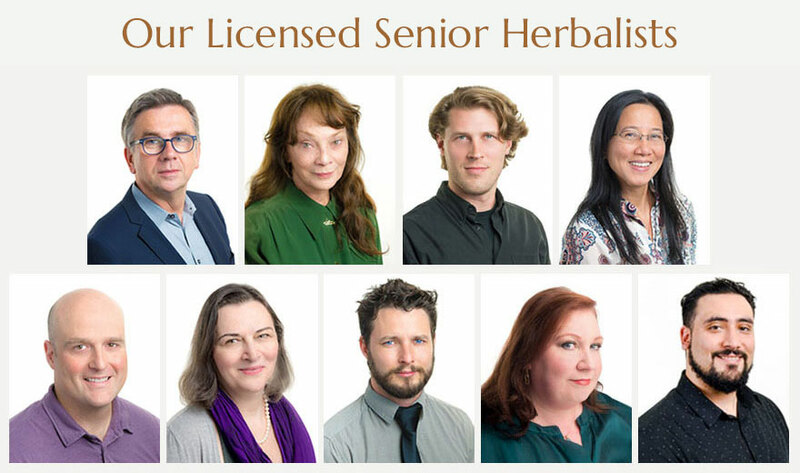 The superior herbs are indeed the great transformative source of power and bounty that we are all knowingly or unknowingly seeking. The Dragon has the power to become visible or invisible. The Dragon shows itself to the worthy. YOU have the power to see the Dragon. Do you choose to see the Dragon? Better, do you dare to BE the Dragon? This Spring energy is so powerful that it can sustain us for a full new cycle of living on this beautiful Earth. Spring is partly about shaking off the old and tossing out the winter baggage, and it is partly opening our hearts, senses and soul to a new beginning. The Taoists say that this energy may be called the “Will to Become.” There are Five Elemental Energies: Wood, Fire, Earth, Metal and Water. Spring energy is of the Wood Element. It provides the power of growth and renewal. It is our creative (and procreative) power. It feeds vision, imagination and the power to manifest new ideas. One of our major organs is central to the power of this Element: the Liver. In the Spring, the Liver, on some profound level, awakens and becomes robust. When the Liver becomes too yang, a person can feel frustration and even anger. If the Liver is too yang, one might feel pain in the area below the ribs where the Liver lies. On the other hand, if the liver has insufficient energy (Qi), instead of the exuberance that naturally flows through us in the Spring, we can feel tired, depressed (down) and unmotivated. If the Liver has become toxic due to the exposure to toxins through our diet, air, fluids, and emotional-chemical reactions (stress, fear, frustration, worry, etc. ), we again can feel the Liver blocking our creativity, our “Will to Become,” our sense of balance and well-being, and indeed our happiness. In fact, the Liver is known as the “Seat of Happiness,” but only when the Liver is healthy, happy, unblocked and able to do its job without hindrance. There is a second Elemental Energy that plays a primary roll in our Spring. It is the Earth Element. In Chinese philosophy, the Earth Element plays the role of maintaining balance in our body. 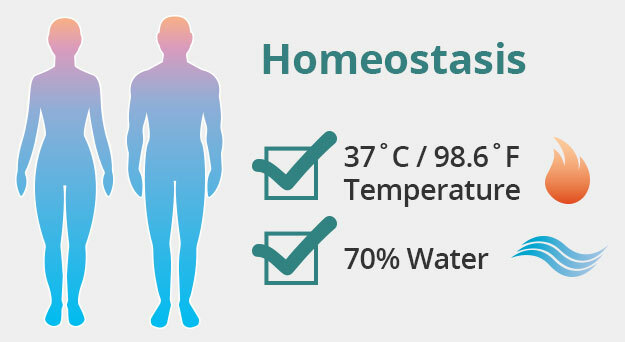 It is synonymous with the idea of homeostasis, internal, functional, and emotional balance. The body seeks balance at all times. If it is too hot, we seek coolness. If it’s too cold, we seek warmth. If it is too damp we seek dryness, and if it’s too dry, we seek moisture. This is nature at its root. We humans have thousands of functions that must be adjusted moment by moment in order to stay balanced, and therefore happy and healthy. These are called “regulatory mechanisms.” Thousands of chemicals in our body serve only one purpose, and that is to maintain balance – homeostasis under changing conditions. Good nutrition, exercise, good sleep and generally healthy living promote this great regulatory capacity. 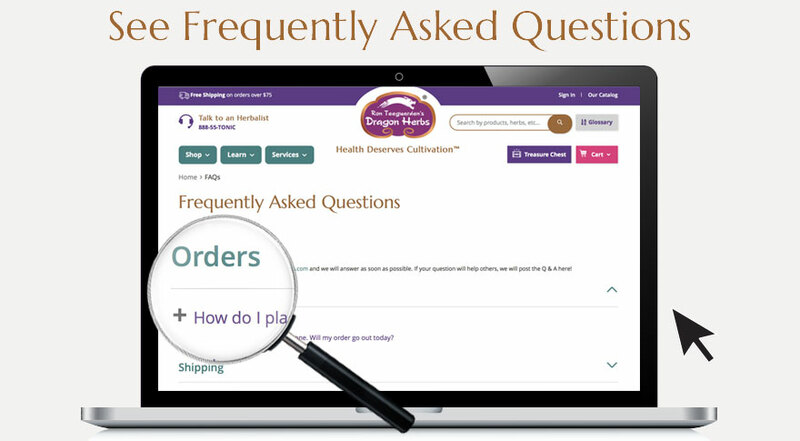 There are several tonic herbs that have the remarkable capacity to nurture this regulatory system. They don’t push the body in one direction or the other. They support the adaptability of the body and mind under normal and abnormal conditions. 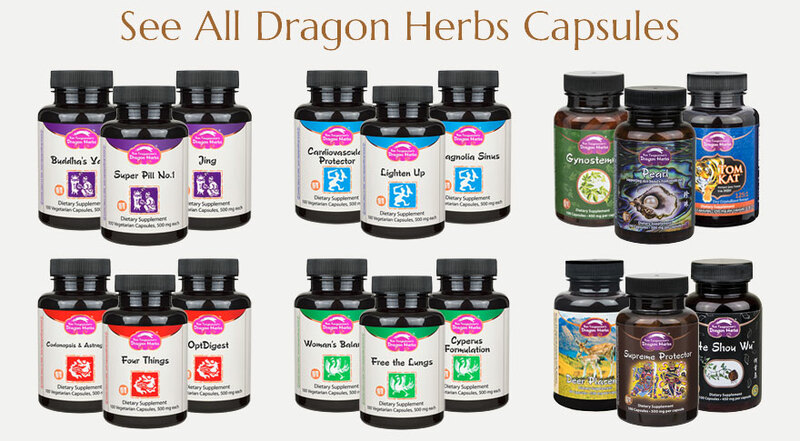 These “adaptogenic” herbs are the epitome of natural support for a long life and extended wellness. Most of the “adaptogenic” herbs, sometimes just called adaptogens, boost the Earth Element, the elemental energy in nature that promotes balance. As we get older, we lose some of our ability to adapt as quickly, as accurately, as fully as when we were younger. This may be due to hormone shifts, lifestyle shifts (becoming more sedentary), dietary shifts and so on. Supplementing our nutrition with adaptogenic herbs can have a profound benefit on our adaptability or our capacity to maintain balance during and after stress. 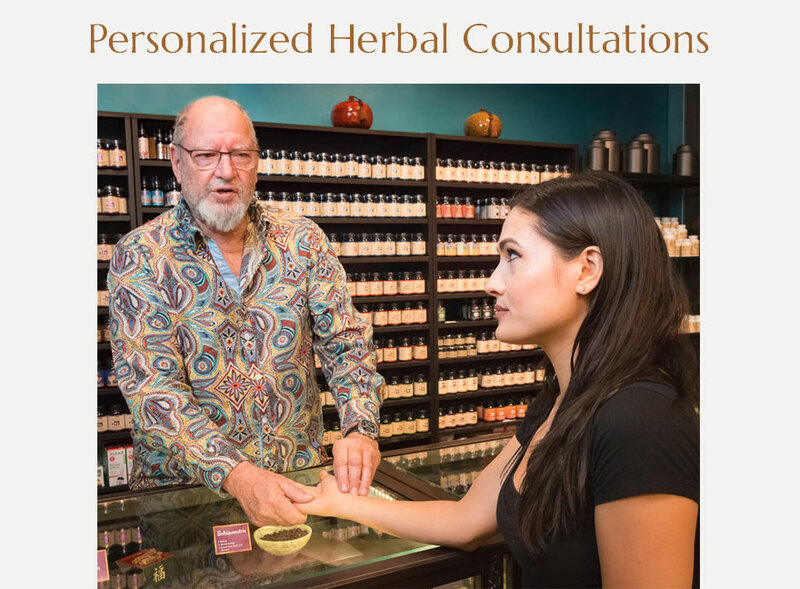 There are a few remarkable tonic herbs that have been favored in the Far East since the dawn of civilization for their ability to promote this most fundamental of all functions – adaptability. Adaptability is the measure of life. 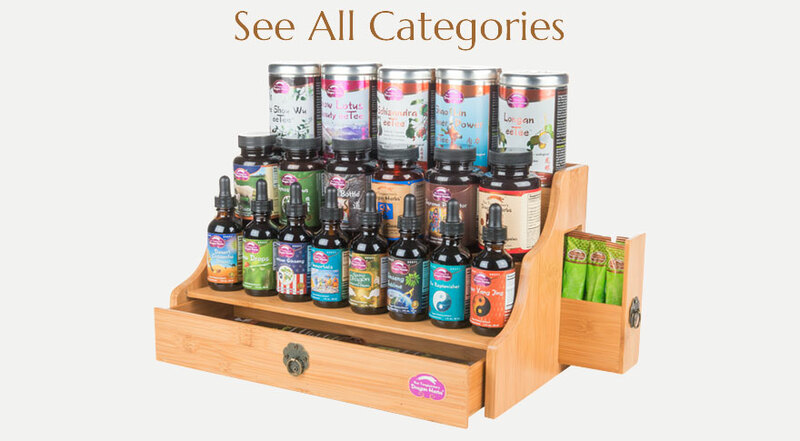 These adaptogenic herbs have become world famous and include: Ginseng, Reishi, Astragalus, Schizandra, Chaga, Rhodiola, Mountain Ant, Cordyceps and several others. 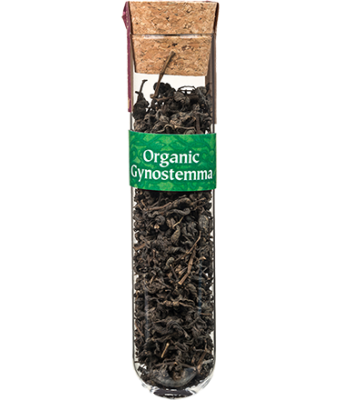 Gynostemma leaf is an Earth Element, adaptogenic Qi tonic of the highest order. It is simultaneously a wonder herb for Liver health and function. 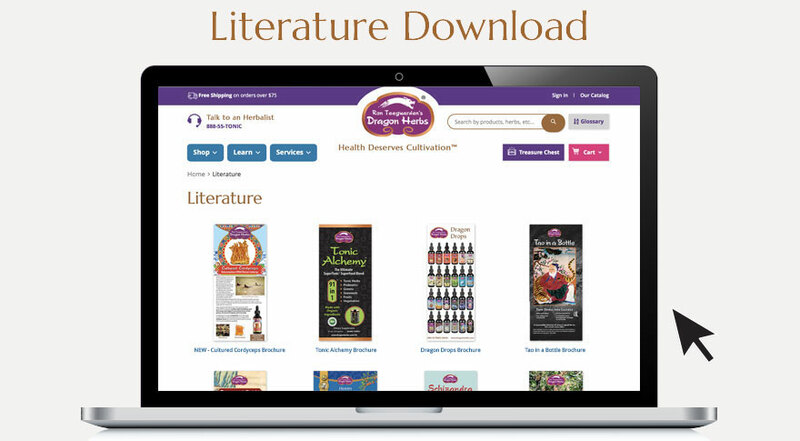 It helps establish immunological balance, energetic balance, and creative power. 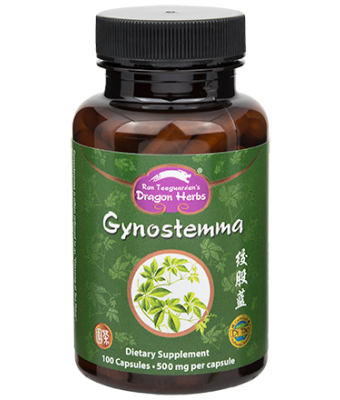 Gynostemma is the main herb in Spring Dragon Longevity Tea, the first product ever sold by Dragon Herbs and it’s still our number one selling product. People around the world love this elixir/tea and know its power. It is delicious, rich, and satisfying. It has bi-directional capacity (due to its adaptogenic chemistry). You can drink it in the morning to get your day going, and you can drink it at night to sleep more deeply. You can drink it at work or play or rest. Drink it before meditation. Drink it before or during an intense match of tennis. 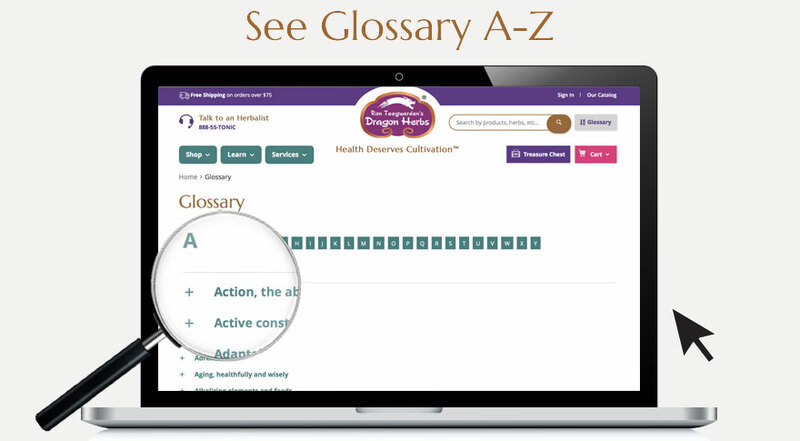 Now you may understand why we named it SPRING DRAGON LONGEVITY TEA. 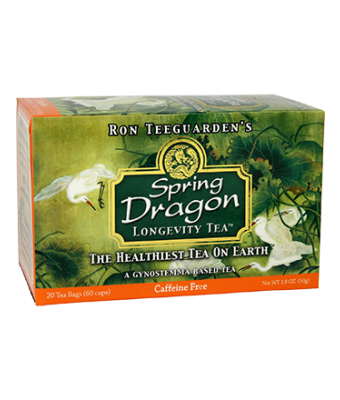 We offer Spring Dragon Longevity Tea in two forms. 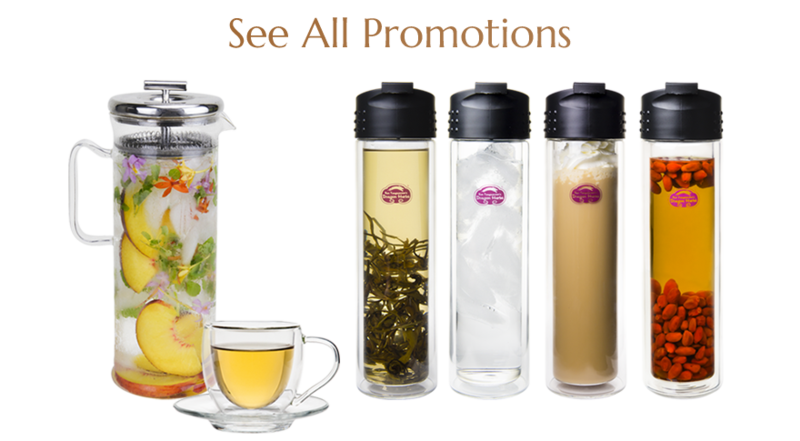 One is as a tea in a tea bag for your sipping pleasure. 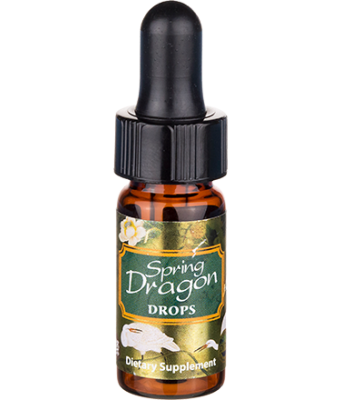 The other is as a hydro-ethanolic tincture extract that we call Spring Dragon Longevity Drops. Both are fabulous all year long (you need this creative life-force every day), but Spring Dragon Tea or Drops are of multiplied benefit in the Spring. 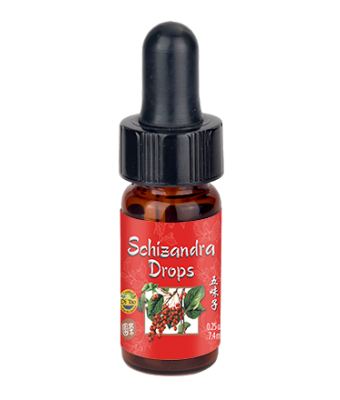 Schizandra Drops – New! This very rich tincture is a true herbal connoisseur’s dream. It is made from fresh wildcrafted Schizandra berries from Changbai Mountain, a volcano in Manchuria that has been the source of Schizandra for millions of years. 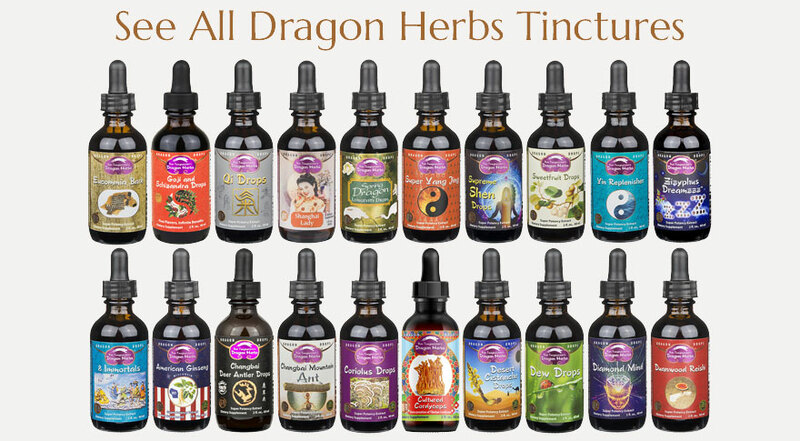 Tinctures contain a little alcohol, and are in fact extracted with alcohol and water. The alcohol components are especially beneficial to the liver. 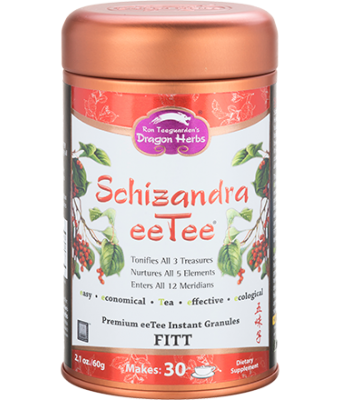 Schizandra eeTee – This is an instant tea of Schizandra made by the most advanced extraction technology in the world, FITT eeTee Raw Extraction. Though it is a granulated powdered extract, it was produced by popping the fresh fruit cell walls with sound, pressure and vacuum. The water temperature never goes over 103 degrees F, so raw foodists around the world recognize it as “raw.” Consuming Schizandra eeTee is just like eating the fruit right off the vine in the wild forests of Manchuria. 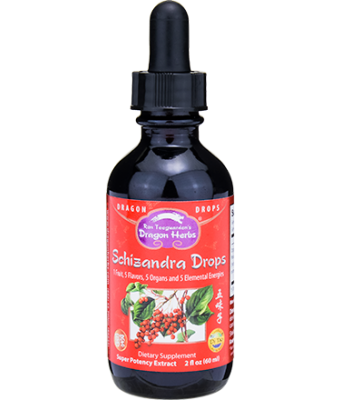 Schizandra Capsules – Dragon Herbs produces a pure water extract of Changbai Mountain Schizandra fruit and spray dries it into a powder that can be consumed as capsules, or as tea. 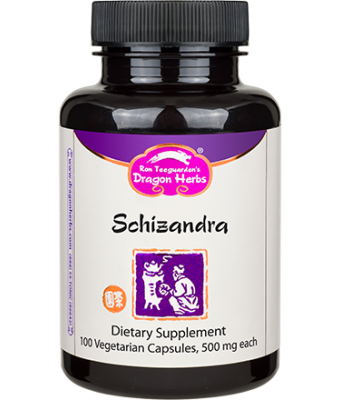 This is a traditional and extremely easy way to take Schizandra every day. 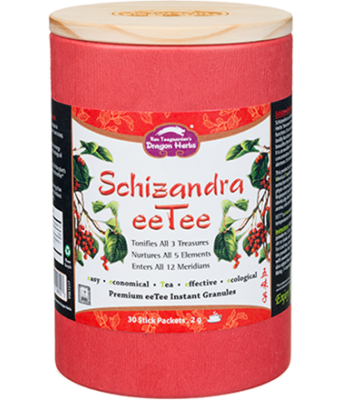 Note: Not all Schizandra products on the American market are actually the correct species of Schizandra fruit. Many sellers unwittingly buy a faux species and sell it as Schizandra. 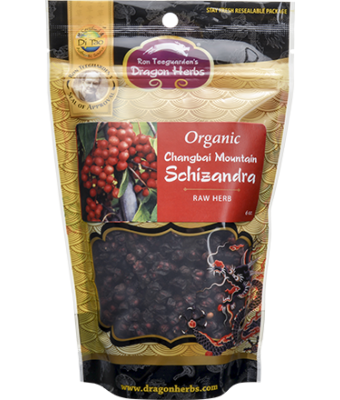 Dragon Herbs Schizandra has been laboratory-tested to certify that it is authentic Changbai Mountain grown Schizandra chinensis – the real deal. 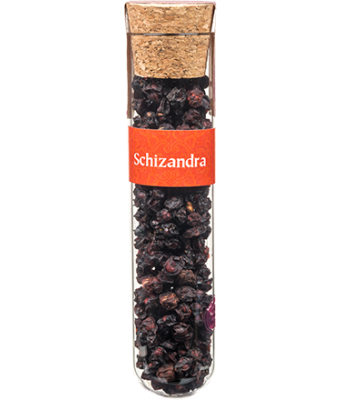 In fact, we have recently had our Schizandra DNA certified to be authentic. 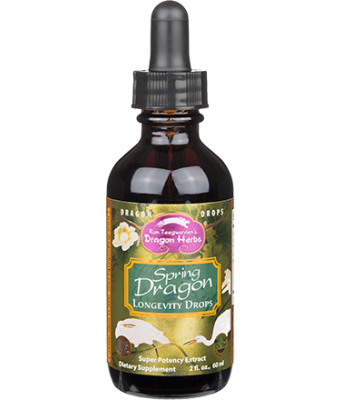 Spring Dragon Longevity Tea – There is Schizandra extract in Spring Dragon Longevity Tea. 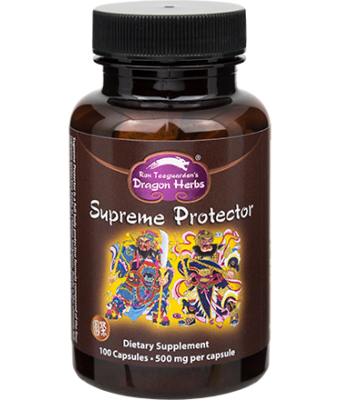 Supreme Protector – Supreme Protector contains Schizandra, Astragalus root, Cordyceps and Duanwood Reishi. All these herbs support the Qi and Liver. 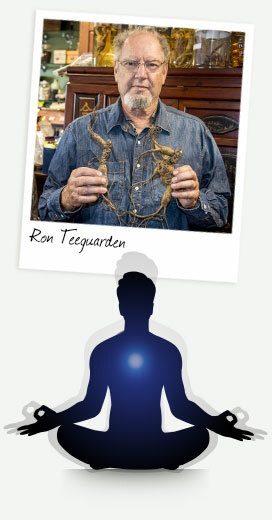 Together they protect the body and help us deal with everyday invaders and toxins. Liver Tonic – Liver Tonic Formulation in capsules contains six of the greatest tonic herbs used in Chinese tonic herbalism: Schizandra fruit, Duanwood Reishi fruiting body, Polyrhachis Ant, Gynostemma leaf, Goji fruit, Chinese Dioscorea rhizome. 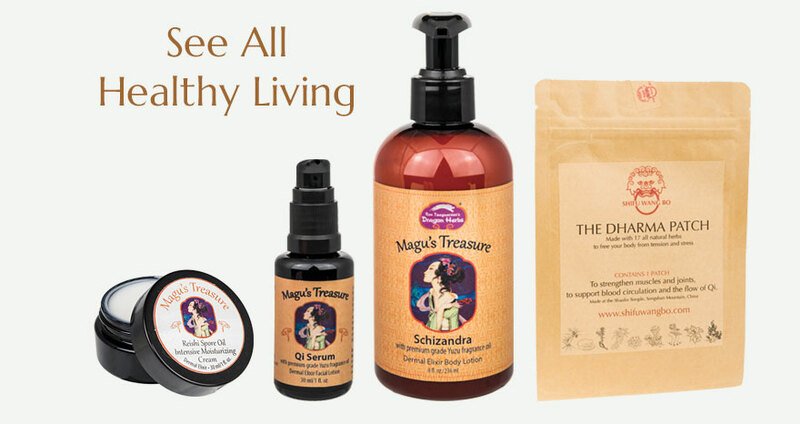 All of these herbs are considered to be completely safe and non-toxic. These herbs support the body’s natural ability to regulate the Liver functions while supporting the tissues of the Liver. These herbs have general adaptogenic effects on the body and specific supporting benefits directly on the Liver. This formula may be used as both a Liver tonic and a general tonic. It may be used throughout one’s lifetime. * This formulation does not result in rapid detoxification. Over time, the Liver becomes more efficient at self-cleaning. Look at the formula — this is indeed a supertonic formula of the highest order, plus it is a potent pure-yield extract (typically around 10:1). It truly nurtures the Liver and supports the Three Treasures.